Nightire, the Urban Sleepwear Company, offers a range of soft and luxuriously comfortable sleepwear. Their unique products, made of 100% bamboo, help you get a better night’s shut-eye. 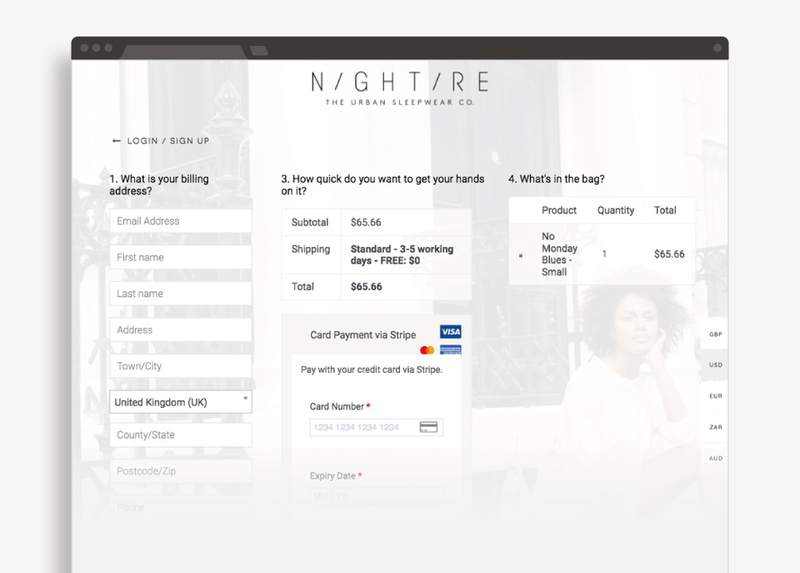 Through working closely with Nightire’s amazing founder Nina, we were able to turn her brand vision into a standout and engaging e-Commerce website, allowing her to sell her products globally and in multiple currencies. The modern, image-based website design lets the colourful sleepwear do the talking. With fantastic photography, we were able to engage customers with a luxurious style, complimented by clear shopping call-to-actions. With the eye-catching design in place, we developed this into a modern and mobile optimised framework, introducing a range of modern online design elements. These screenshots demonstrate the range of clean and easy-to-use e-Commerce features that our team developed for Nina – product pages, account portal, multi-currency checkout, global delivery – to name but a few. Check out the site yourself and why not pick up a luxurious piece of sleepwear. Investor Forum positions stewardship at the heart of investment decision-making by facilitating dialogue, creating long-term solutions and enhancing value.